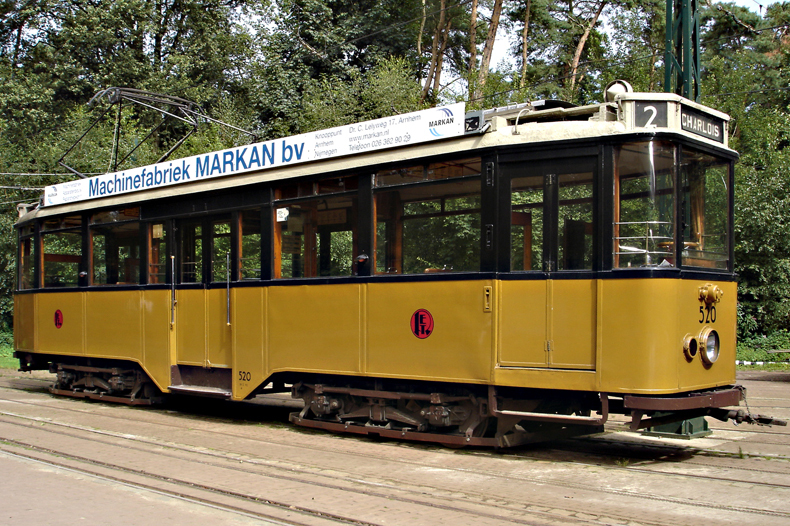 The reason I fancy this tram and subsequently bought the model below was because I used to travel on it in the years between 1964 and 1970 when I was the elementary school on the Putselaan where line 2 passed. The stop at 'Graansilo' where I used to get on and off the tram at the Putselaan, 6-6-1958, (foto: E.H. Bouwman). 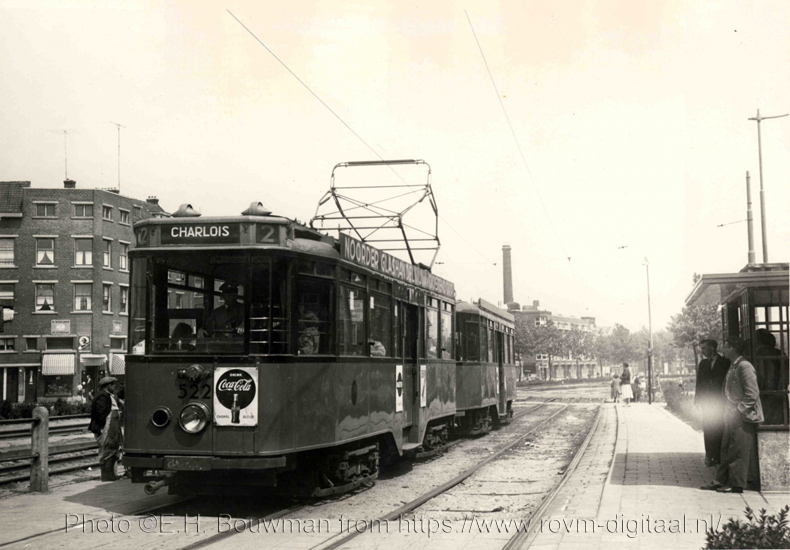 Photo used with kind permission of Rotterdam Public Transport Museum (I have not been able to trace the original owner of the photo. Might he find his rights violated he is kindly requested to contact me, see conctact details in the footer of this page). I was looking for a model of a Tatra T3 after a holiday in Prague when I stumbled over the Atlas model series. Much to my surprise it also comprised a model of a Rotterdam tram class 401-570. The model is a pretty simple unmotorised 1:87 depiction of motorcar 520 by Atlas. I bought it at Heyang Model on eBay. At a price of just €14,50 it is a no-brainer to buy it. Delivery took about a month, but hey, who says it needed to be quick for that price? The model is well packed. The nice thing is that it is depicted on the line on which I saw and travelled on it in my younger years. Charlois, a district in the south of Rotterdam, is synonymous for "home" to me. Doors are well modelled, although the side handrails may need a little looking away. The car number is crisp. The makers of this model have made one real glitch and that is the advertisement. For one it is highly unlikely this tram ever had an English advertisement and second Rotterdam isn't beautiful, it is a working city :-).